If you want a little piece of Spring in your home, these easy Easter floral baskets will do the trick. I think a little tag attached with your guests name would turn them into great place cards/party favors for Easter brunch too. 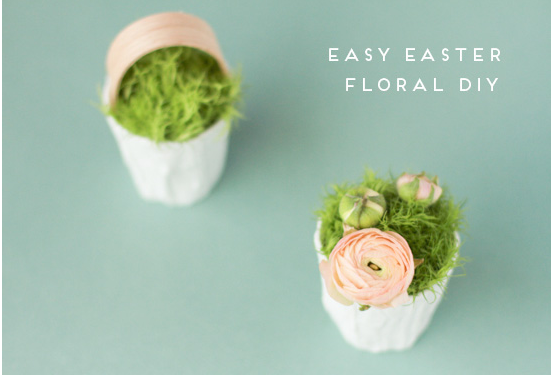 You can find out how to make these mini Easter flower baskets over at Paper & Stitch. Those are adorable...I am a sucker for anything mini!